I love the word ‘tradition’ when applied to the holidays. 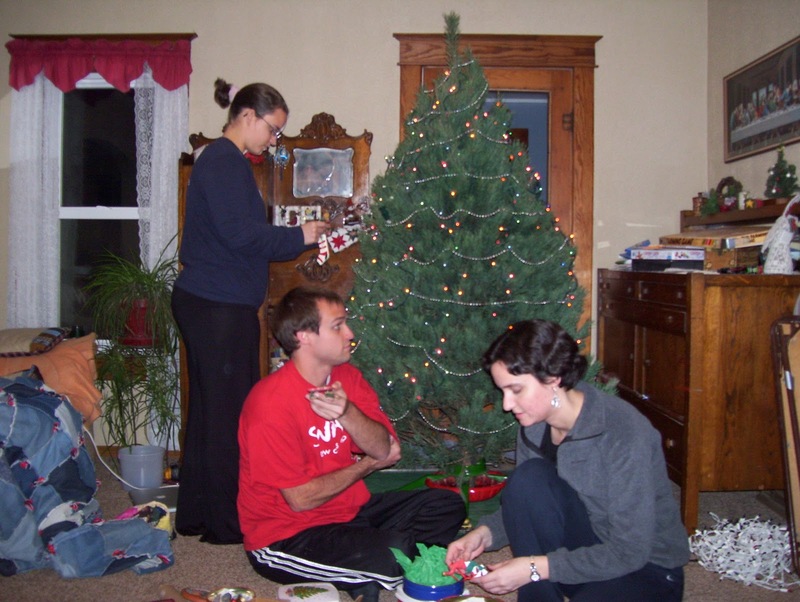 My family has so many fun traditions that we have kept up over the years, especially around Christmas. Some have even come from my own parents’ childhood! A few of them have evolved through the years, but it is so wonderful to celebrate them as a family when we are all together. This year was no exception! We also did a few new things this year that will surely stick around. Here are a few of the highlights! My family always gets a real tree and decorates it together. I love pulling out ornaments and filling up the tree! Some people like to have a theme or just a few decorations perfectly placed, but I would much rather have our family’s tree filled with memories. My aunt and uncle started a tradition 16 years ago of giving my siblings and I a different ornament every year until we turn 18. 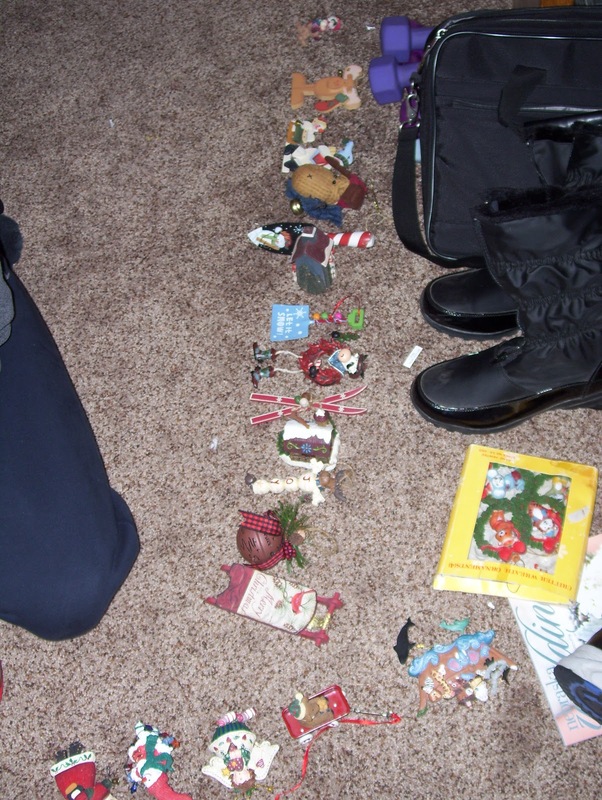 Often our ornaments each year were similar, but were specifically suited to each one of us. Decorating the tree means pulling out our individual ornaments. Someday, we will be able to take our own ornaments and put them on our own tree. For many years my parents would give us a new family game for Christmas. My siblings and I took up the tradition and have been picking out a new game for all of us to play together each year. 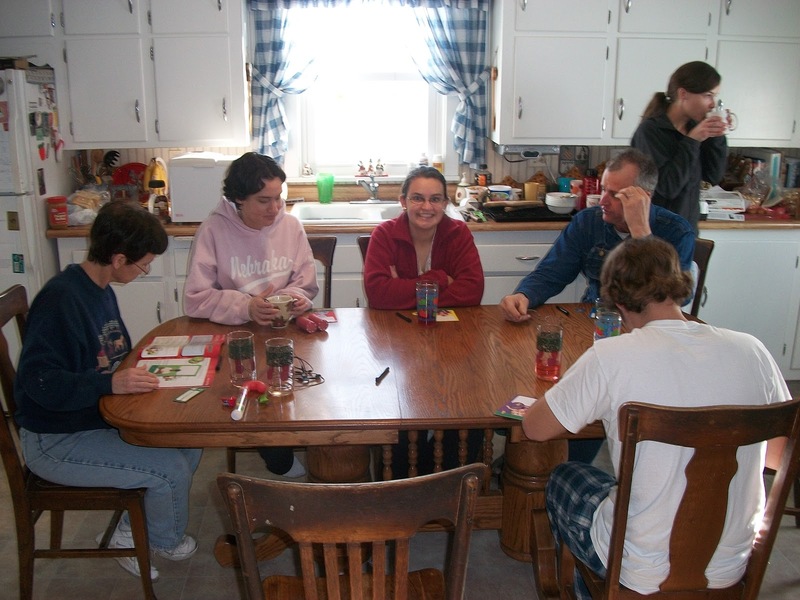 It is always fun to play different games throughout the Christmas break time. This year on the Saturday before Christmas, my siblings and I had a game marathon- playing a few rounds of a bunch of different games we hadn’t played in awhile. Taboo at midnight combined with a lack of sleep sure makes for a lot of laughter! These would go under the category of new traditions. Christmas Eve we were in a jolly mood, and before going to bed we had an impromptu dance party! Throughout my time at home, my brother would select a song to get us pumped up for whatever we were about to do- be it shopping, eating dinner, playing a game or taking pictures. He had songs for every occasion. 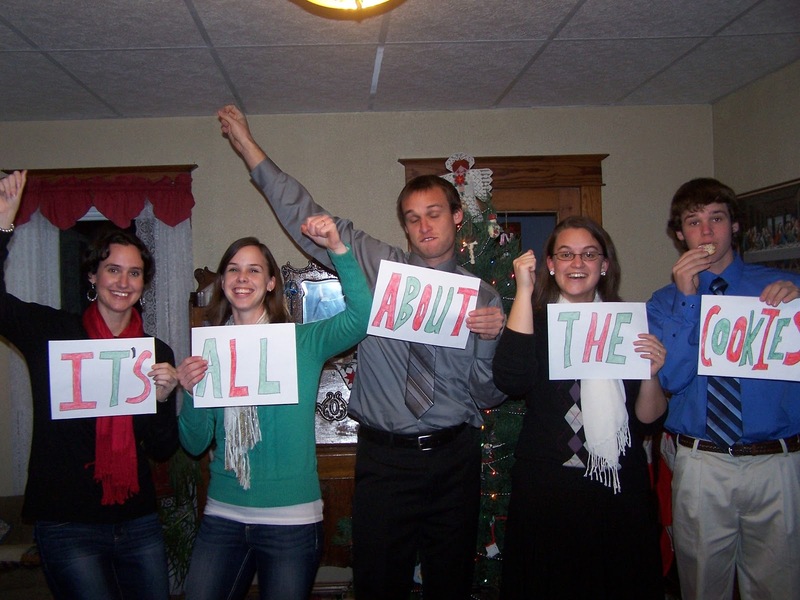 My siblings also came up with the idea to make funny signs and use them in our picture-taking. They speak for themselves. 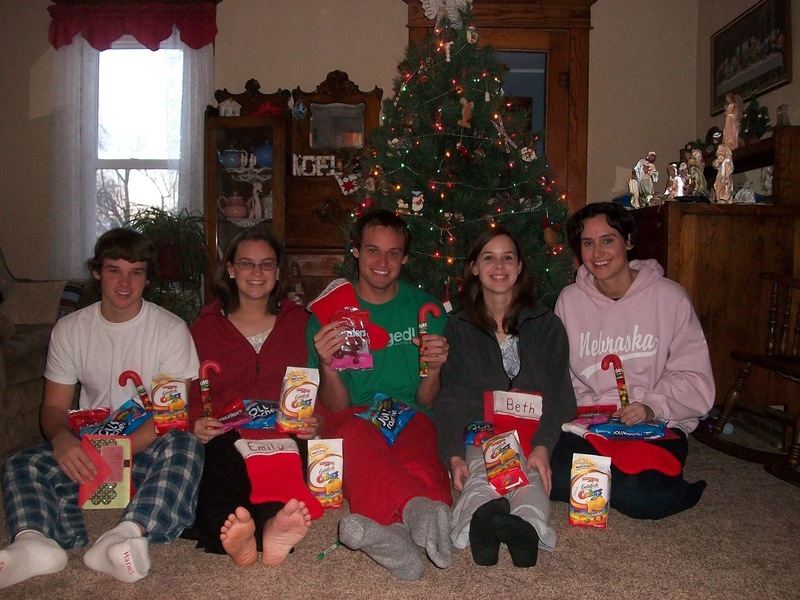 After our annual sibling sleepover on Christmas Eve, we open our stockings as a family, enjoy a breakfast of little boxes of cereal and cran-apple juice, and then open presents. Although I enjoy all of these traditions (presents and candy are great), the best part is just being together as family. Especially knowing that I will be missing out on Christmas with my family for awhile after I leave for Cambodia, that time together is so sweet. I will probably have to come up with some new traditions (or find a way to continue them Cambodian-style) but I am so thankful for a fun time with my family and our traditions, both old and new.